As Members of the East Lothian Golf & Tourism Alliance, we have excellent working relationships and discounted rates with all of the local golf clubs comprising Scotland’s Golf Coast where we are happy to arrange tee times for you. 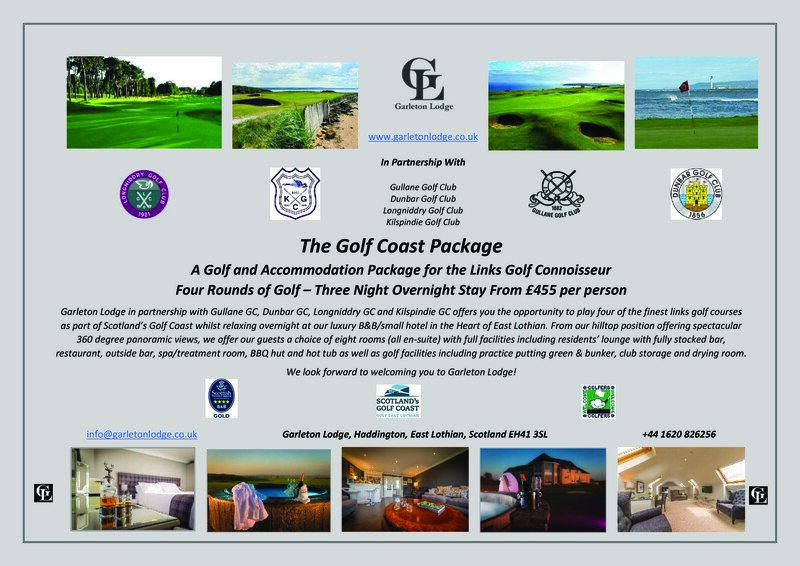 Alternatively, why not book our Scotland’s Golf Coast Package offering three nights B&B at Garleton Lodge together with four rounds of golf at Gullane No.1 (hosts for the ASI Scottish Open 2018 and Ladies Scottish Open 2018), Dunbar, Kilspindie and Longniddry (hosts for the ASI Scottish Open 2018 Qualifier). Other packages and itineraries available.